It just clicked my mind while watching another Disney movie ;)… Disney movies are something I can watch anytime…. During exams too I watched one…. It was “Another Cinderella Story”….. It was so damn good… I loved it just so much…..
My mom says “you are still a kid watching cartoons and enjoying them”…. I hardly watch TV though… but whenever I watch I search for some good Disney movie or cartoon… though they have spoiled Disney Channel upto an extent by showing those stupid copied Indian programs :P but I still look for original ones…. it seriously is channel for all ages ..
Hey same here.... i just love to watch cartoon...especially...Tom and Jerry, Jonny Quest!! My mom would also complain..."u r grown up and still watching cartoons..."!! Same pinch!! Why grow up?!! Great blog - glad I found it. Will be back! My dream has always been to live in Cinderella's castle. But apparently they only let you live there for a night and that's only if you have a terminal illness or won a contest. Or both. But whenever I need cheering up I can pop in The Little Mermaid or Beauty and the Beast (my favorites). Oh Disney has always been a part of most of the kids around the world. Our first affair was with Disney dont u think so....lol!! I love watching Disneys movies which they make...but cartoons somehow has been a past but still love it. The best thing that this company has done is always brings a smile on a child's face...n i suppose its priceless. N yes its magic still continues!! hey.... WO0oo cartoons are for ever no matter wat age .. my favs were.. pluto, goffy, Mcduck, sabastian, Chip N Dale, list wld be endless.. crazy fan of dem!! the fantasy n colorful lives of the characters is wat attract me to these stuff..
Walter disney was called the the da vinci of ourtime...really nice and light hearted toons and movie, make you feel happy!!! I start my day, tuning to disney channel. And hey! you will get a really good job for sure.. bas hang-in there... :) All the best. hehe! :D i too love Disney! not all of it, but yeah some are very fun! And you have such a lovely name! Cartoons are always way better than the stuff they show on television. Its always nice to run back to the child within. Glad to know you share the same sentiment!! Disney is truly fabulous....I've been a fan since I was little, went to Disneyland the year after it opened. I heard there is a great new museum about Walt Disney that just opened in San Francisco in or near the Presidio. It was created by the Disney family, not the Disney Corporation, so I imagine it is a wonderful tribute to "uncle walt". when the Disney empire was just beginning, it was so magical... I remember watching the Disney show every Sunday night, the Mouseketeers all week long after school, and reading the Disney magazine from cover to cover every month. They still do a good job of taking us out of our daily lives and instilling magic into them! Thanks for this post....I enjoyed it! I should think we're all pretty much agreed on this: we're all kids at heart and we can all relate to your post. It speaks for us all. Excellent. I like disney movies too!! ahhh!! ha!! so keep watching disney..n keep writing!! loved coming back to one of my favorite blogs after a long time..
As usual,I loved the energy and enthusiasm in your posts :) and the kid in you. I too am a fan of disney movies.. and the old ones..like The goofy movie, alladin, LK.. i can go back and watch over n over n over again.. I went to Tokyo Disneyland and it was amazing.. Really it goes with Walt Disney's ideology !! i guess its my first time here. dropped in from IndiBlogger (i guess you added my blog's link from there). life is actually really beautiful and one should never miss to smile back at it. by the way, i too love gummy bears, goofy , duck tales and alladin. earlier all these cartoons were viewed in a 1hr daily show called disney but now disney has its own channel. i guess technology has its pros and cons and the negative part comes along with the fact that the shows have lost their charm in a certain way.disney seems history courtesy shows like shin chan which not only carry derogatory remarks but at the same time have taken away that sense of innocence from these cartoon characters. 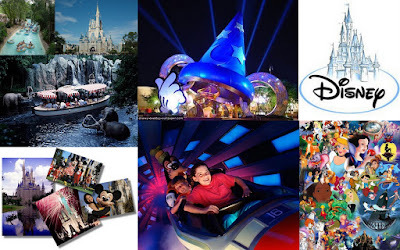 Disney land is a very great place and fabulous family destination as well.Disney land is a wonderful place and a great fun destination. It includes all amusement and entertaining activities for the whole family and an ever excited place to joy, cherish and extreme wilderness.